Think of the smiles you'll see when your guests arrive and find these adorable exclusive bag favors shaped like pink baby booties filled with goodies. And they'll surely recognize all the thought and love you put into the preparations for your baby girl or baby boy big day! A truly original guest gift for baptism! The price for this guest gift is per piece. Please note that all our guest Christening gifts are delivered without filling! 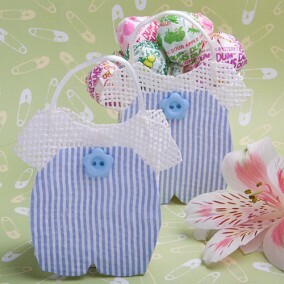 Would you like to thank your guests for attending the christening of your baby with a small guest gift? Your beloved guests will be charmed when getting a lovely surprise in return for their attention and congratulations. 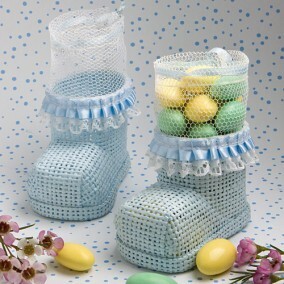 In this online store yYou find a whole range of carefully selected gifts and favors related to baby shower and baptism. 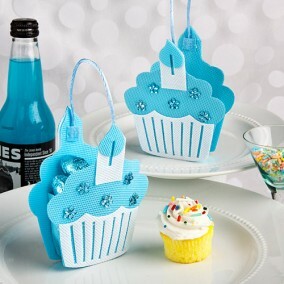 Some of the favors are available in various colors. 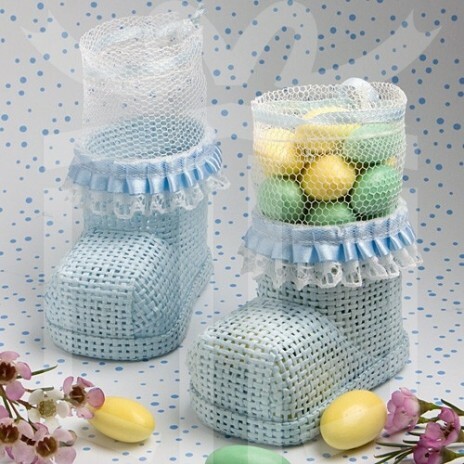 The cute decorative motives such as the mini baby bottle, the small baby shoes or the beautifully processed mini stroller will delight your baptism guests! Therefore, select your preferred gift for baby shower today! 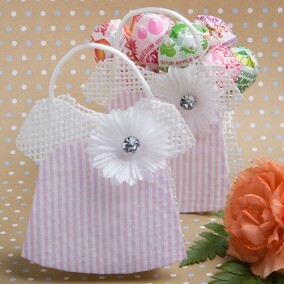 You can offer your guests to take the christening favor home. So will your guests remember the beautiful celebration for a long time!